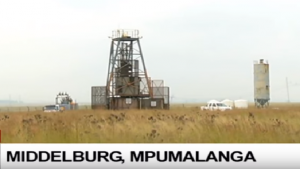 The recovery mission at the Gloria Coal Mine in Middleburg, Mpumalanga has been suspended indefinitely. The decision was taken yesterday after rescue teams sent underground returned empty handed. Last week Friday, recovery teams discovered thirteen bodies underground and at that time, it was believed that nine other people are unaccounted for. The recovery mission was temporarily suspended due to the high level of methane gas. The mission resumed on Monday but thus far they haven’t found any more bodies. Gloria Mine business rescue practitioner Mike Elliot says they have decided to suspend the mission for safety reasons. The post Gloria Coal Mine recovery mission suspended indefinitely appeared first on SABC News – Breaking news, special reports, world, business, sport coverage of all South African current events. Africa's news leader..